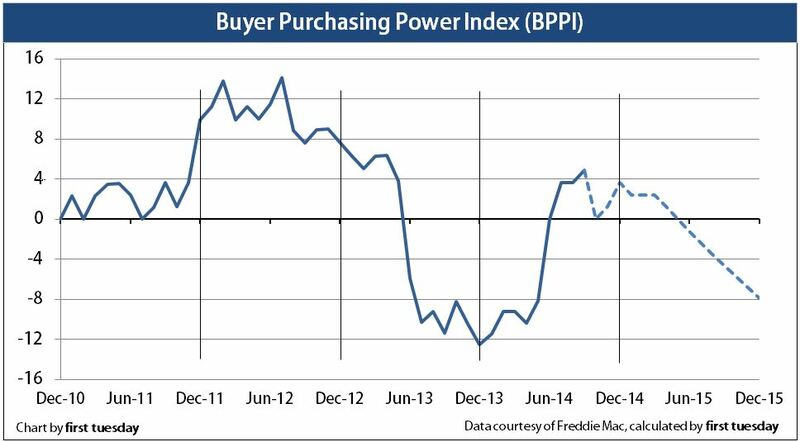 The California Buyer Purchasing Power Index (BPPI) figure rose to 4.86 in September 2014. 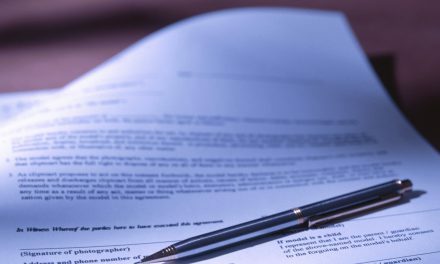 The BPPI figure is once again positive due to an average 30-year fixed rate mortgage (FRM) rate which has decreased slightly from its peak one year earlier. The index dropped sharply during the second half of 2013 due to the steep rise in mortgage rates which lingers today. Homebuyers are able to borrow 4.86% more today than one year ago without an increase in their income. 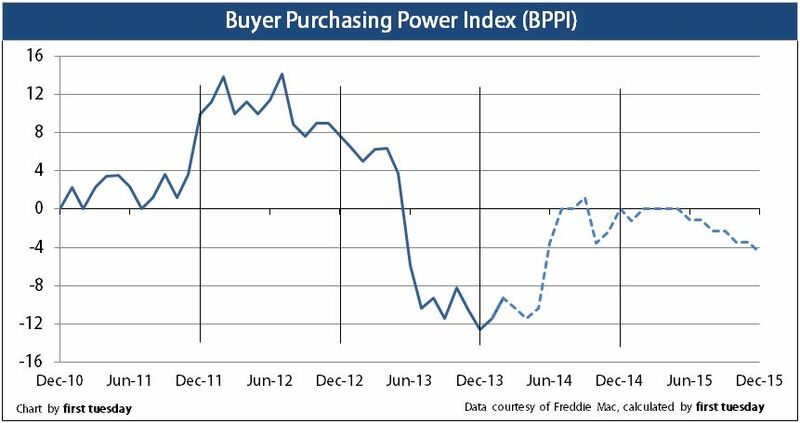 Any increase in prices reduces the BPPI, decreasing the amount a homebuyer is able to borrow. Rates are expected to rise again in 2015 when bond market interest rates increase in anticipation of future inflation — leading the Federal Reserve (the Fed) to raise short-term rates to cool down our then-vigorous economy. At this point, the BPPI will once again go negative. Then, the BPPI will continue a decades’ long period of negative descent as mortgage rates rise with renewed growth in our economy. Sellers can expect downward pressure on home prices, as buyers will be able to borrow less over the coming decades with the same income. As BPPI declines in the current trend, the capacity of buyers to borrow purchase-assist funds is reduced. In turn, buyers needing purchase-assist financing can only pay a lesser price for a home. To keep the homes for sale inventory moving at the same pace, sellers will have to lower prices or pull their properties off the market.